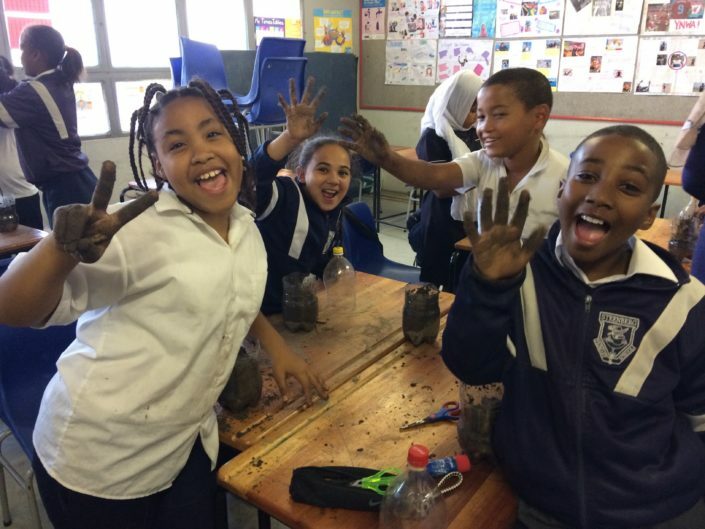 Ceinwen Smith, who heads up the Ingcungcu Project, recently ran a workshop with the Grade 4 Eco-club (22 learners) at Steenberg Primary and Frances Taylor of Communitree. 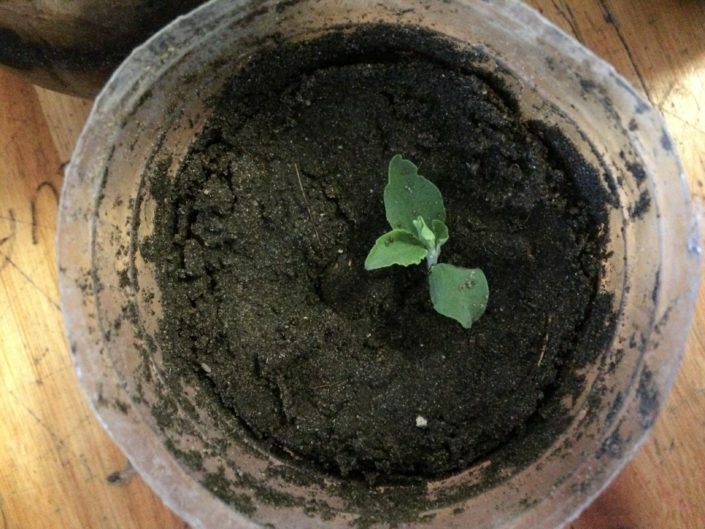 The learners each prepared a 2L plastic bottle (which had been cut in half) with soil, compost and rainwater into which they planted a cutting of Leonotus leonurus (Wild dagga) or Salvia africana-lutea (Bruin salie). The bottles were tightly sealed and thus will not need to be watered again until ready for re-potting in two months time. The cuttings were collected from Steenberg High and Levana Primary gardens and if the propagation is successful the learners will plant them in their own school garden at the end of winter! 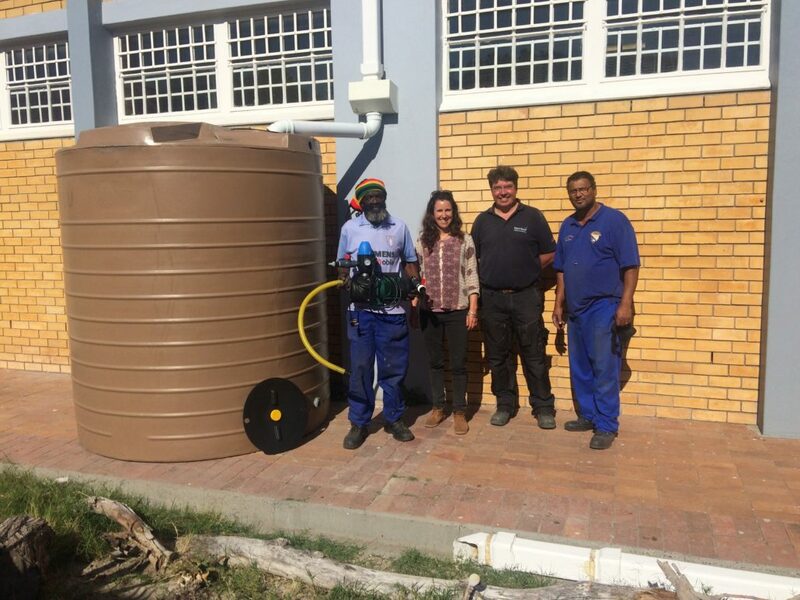 In addition to the workshops, two 5000l rainwater tanks with pumps were professionally installed at Steenberg High and Steenberg Primary, by Michael Swanepoel of WaterWize Solutions. 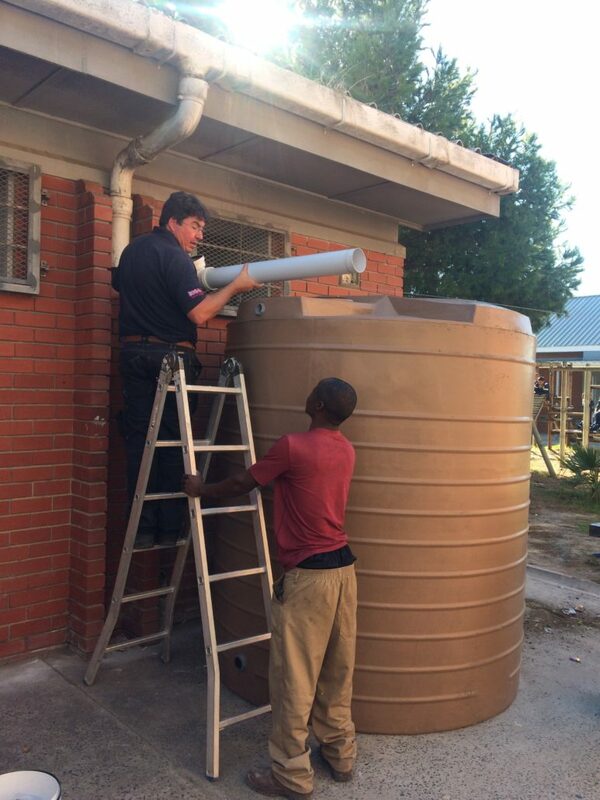 Both schools have expressed incredible gratitude for the tanks and have made arrangements to secure the tanks to avoid vandalism or theft. Visit their Facebook page for more photos from the workshop!